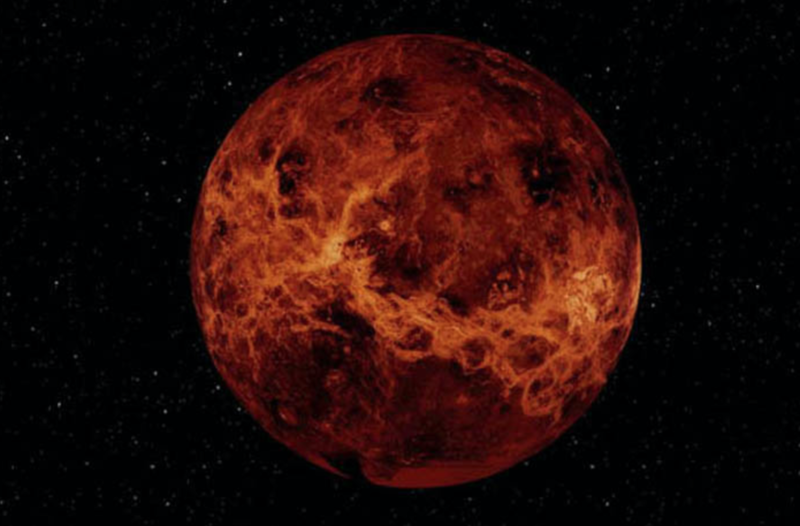 The planet turns clockwise, which is the opposite direction to the other planets. (God is pure love), and giving good benefits to Earth. the mirror (reflecting exactly what is shown to it; just like God). GOD/King, Ruler and Guardian of the Universe, put down a revolution led by Lucifer. from which the word D/evil is derived; because of his selfish and arrogant nature, wanted to over-throw the Lord and to take His place, so that he could rule, and inflict his own selfish opinion and evil desires on the heavens. He encouraged and misled many of the other inhabitants of the Morning Star; whom people on Earth know by the name Angels; to join him and he then started a war, against God. who have been the guardians of the heavens for zillions of years; fought with his knights, using the “Light” and “The Force,” which is the force of love. 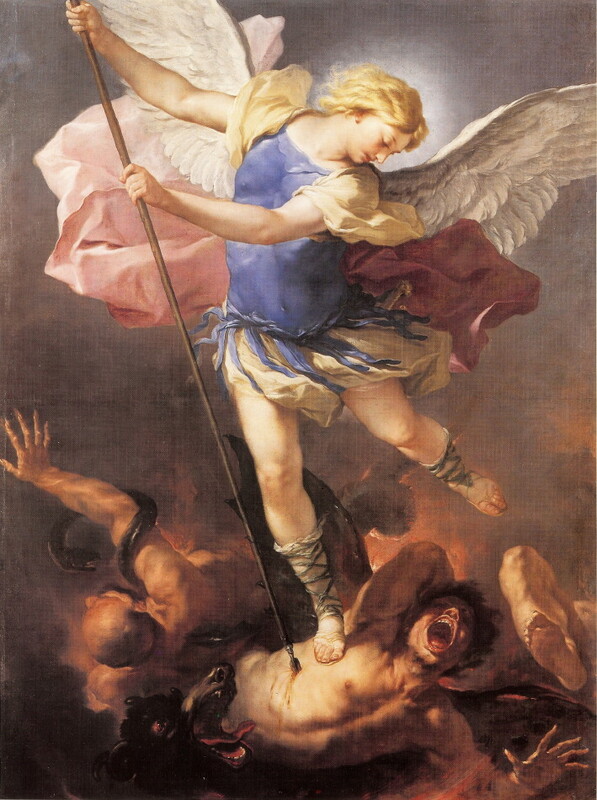 God, Who is pure love and the source and controller of His “Force”; love, the greatest force in creation; defeated Lucifer and his followers, some of whom were misled, by lies, into fighting against God. Unlike Lucifer, who would have spared no-one, the Lord, in His infinite Wisdom and compassion, decided to demonstrate His love and mercy, to His enemies. God; knowing that Lucifer had invented lying, and had deceived many weak- willed angels into following him; decided not to execute them immediately, but to give them a chance to learn the ERROR of their ways. If they GENUINELY repented, within a pre-set period of time, He would spare them; if not, He would have no alternative but to destroy them. so that they could do no more harm, and could be safely taught to be good. using “Fire” (not earthly fire); because they feel no PAIN and have no needs. 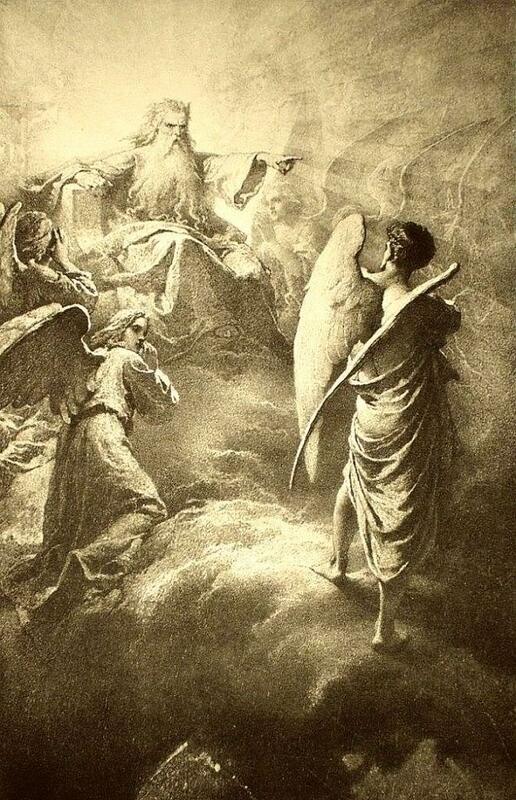 Not executing Lucifer and his Angels, outright created quite a difficult situation. They had to be taught to keep the 12 Laws of Heaven: The 12 Commandments. He did this by giving you a chance, and the opportunity of learning to be good, even though you had intended, and actually tried, to kill Him. This demonstrates perfectly, God’s gentle use of strength. Jesus gave the new COMMANDMENT, “Love one another as I have loved you,” to his disciples. He was telling them to love their enemies and to teach them, by loving them, because the disciples had originally been his enemies, in the war, or they would not have been here, in prison. Loving your enemies does NOT mean allowing them to do evil, or to get away with doing evil; or allowing them to persuade YOU to do evil things; or to stop YOU from doing what God wants YOU to do. He who judges another, condemns himself. IF everyone kept THE COMMANDMENTS there would be absolutely no problems on Earth. UNLESS they learned to be good. Those death-sentences still stand, and are only suspended until Judgement Day. YOU still are under the shadow of the DEATH-SENTENCE. Reform School with no bars. whereupon they could come home. The objective, was for each and every one of them to learn, individually, to be like God. and, in its own way, was a beautiful planet. It was also planned, to create beautiful surroundings, which would have many lessons built into them, and was then constructed, with these factors in mind. The seasons of nature were intended to teach, that Spring, with its birth, both of vegetation and animals, which was followed by Summer, the time of growth; followed by Autumn, the time of maturing and consolidation; in turn followed by Winter, the time of withering and dying (snow- colored hair and wrinkles), was to be followed again by Spring, and re-birth. 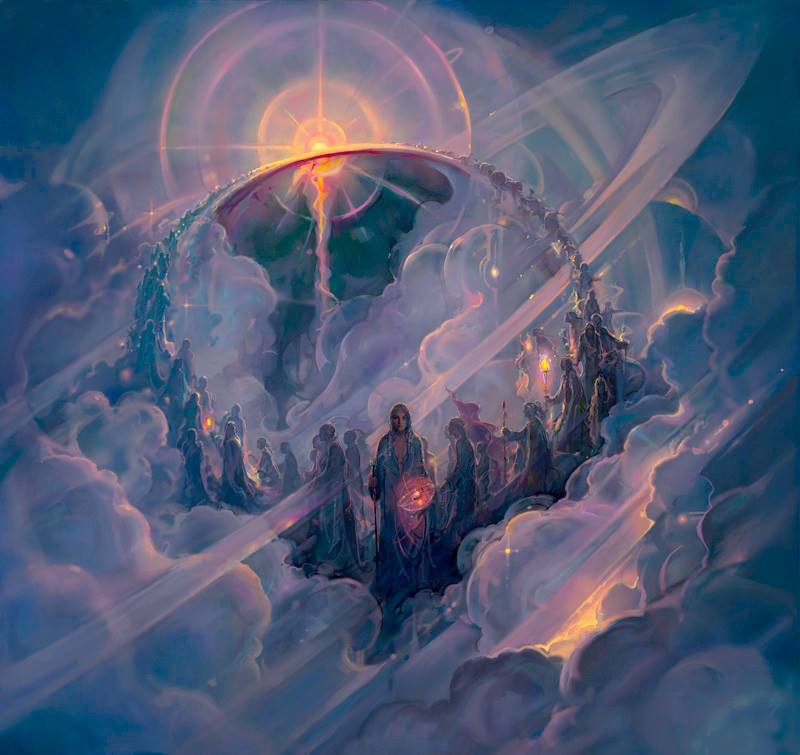 All of this was designed, to show you about human “re-incarnation”, or perpetual human “life after death”, until you either get it right; regain your divinity and go home; or run out of time and are executed. Animal-life would teach; male-superiority, as the provider and protector; the caring for and rearing of the young; the showing of love and affection; the code of conduct and respect for parents. Then, in old age, the roles are reversed, and the children take care of their parents; teaching humility to both; the aged because of frailty and dependence; the young because, by looking at their parents, they can see what the future holds for them. with natural-selection of the most perfect specimens, as partners, to keep the breed healthy, so that it will survive. The natural harmony and balance, between the two sides of nature, i.e. animal and vegetation, living together and helping each other to survive, to teach the living with nature, helping it and each other. Therefore animals should protect and live with nature and God, to ensure their own survival. Nature was to supply the means for food, water and shelter, which make up three of the five basic necessities, or God given rights (human rights), the fourth, of equal importance, being free- will. Freewill (freedom) to decide, whether to continue to follow Satan, or to follow God’s guidance and learn to be good, without being forced, but instead, by loving encouragement, is of the UTMOST importance. This encouragement and teaching, from within (IN-TUITION), by the good voice, that everyone has, and by life; circumstances and surroundings; has to be accompanied by free-will to choose. If God forced everyone to do things, they would never learn, and He would have no way of knowing, whether they were being good, because they wanted to, or because He was forcing them. The fifth God given right is the right to self-defense, from evil. This would teach and encourage the good, and punish the evil, so that those who opened their spiritual-eyes and sought to, would be able to make sense of their lives: past; present and future. This would then encourage child-like (not childish) faith and trust, in God and doing His Will, leading to even more dependence and closeness to Him and yet more faith, until they came to KNOW and love Him. This faith in the unseen and the magic, of having personal miracles, which were previously thought to be only coincidences, having the effect of an ADDICTIVE drug, that HEALS absolutely everything, with NO ill effects. The addiction increases the child-like faith, and the destruction of selfishness, until 100% faith is achieved, along with a spiritual joy that no-one can take away from you that you cannot help but overflow towards others, wanting to share the experience with them, because it is so wonderful. There would also be higher and lower spiritual levels, like in human schools, which go from nursery to university, with A-Z classes, and all grades in between. What humans call intelligence and levels of intelligence, or awareness, are really spiritual levels. The upper levels were to help to teach the lower ones, by example and not words, whilst ALL levels are being taught by God (Head-teacher). All the students should be helping one another, and becoming less selfish (love your neighbor as much as yourself, thereby earning more points and responsibilities, climbing higher up the spiritual ladder, until they become enough like God (like Jesus demonstrated), graduate and go home. God surrounded the Earth with an invisible protection, against escape (Gravity), and with spirit and therefore invisible (to the human-eye) guards/jailers (guardian angels), to ensure that no-one could ever escape (and no-one ever has). This force-field contains the Astral Plain (Paradise), which is full of light, “Beings of Light” and Justice. The guards, being invisible, would also help to persuade the evil “fallen angels” to have respect, child-like faith and trust in the Lord’s protection, from the equally invisible Devil, whilst being, themselves, unable to attack what they could not see or touch. Then, when, because of lack of faith in God’s protection, He allows evil and mishaps to occur in their lives, they will suddenly feel afraid, need and ask for His help and receive it, bringing ever-increasing faith, trust and nearness to God, for those who had opened their spiritual-eyes, and were seeking to make sense of their lives. it would need to function like a school. so that they could come home, as soon as possible. and He looks over the world and weeps, because He wants everyone to be good, and come home, so that He can (metaphorically-speaking) “kill the fatted-calf, and have a celebration, for the return of all His prodigal sons”, just like the father in Luke does. That is all that He has ever wanted of you. In the parable of “the prodigal son”, the prodigal son who was dead and is alive again, represents YOU. The prodigal son who was dead (condemned to death for your crimes) and on returning in humility; disgrace and repentance to his father (God), to serve his father and do his will, has come alive again (been reprieved), was lost and is found. On being re-found, the prodigal son finds, to his surprise, that he is accepted back, joyfully, by his father, as his child and not his servant, as he expected. He then realizes that he was very foolish to leave his father and that his life will be much better, living and learning from his father, who is much wiser than himself. and He has sent His servants (Prophets) and His Son (CHRIST Jesus) and the husbandmen (You) have killed them, so He will have to punish the husbandmen (priests and people of this world), unless you repent. 1. TEACHING from God and “hopefully” LEARNING by you. with punishment each time that a test is failed. 2. TESTS to see what; how much; how well; or even if the lessons have been learned at all. The tests are set in such a way that they show God the results, to the exact degree. taking the form of true SPIRITUAL happiness (Joy) and earned enlightenment. 4. PUNISHMENT for not learning to be good and for continuing to follow the Devil, doing evil. EVERYTHING of any relevance, in everyone’s life, falls into one of these FOUR categories, YOU have to decide which one. A human school is based on these same principles, and is a school within a school, but, unfortunately, they teach worldly-values, instead of God’s values. everything is planned, down to the smallest detail, so that when things happen, you have to ask why and the good telepathic voice within you will tell you why. Then, those who seek, will be able to make sense of their lives, and follow the right path. Similarly, there is no such thing as luck. and His working, in everyone; everything; every circumstance, and encourage good in yourself, and everyone around you. See God in the smile and trust of a child, or a loved-one; in His love in giving you loving animals, as “faithful” friends to play with, and in the beauty of nature and harmonious surroundings. Judge no-one! Who does man think he is, that he thinks he has the right to judge another, when he himself is bad and a fellow prisoner? IF everyone did God’s Will, as ALL the Prophets (God’s messengers) have advised, He could put the world right, very quickly, using people to do it and make the world a better place for everyone to live in. Unfortunately, at the moment, almost everyone is doing Satan’s will and, in so doing, is making the world a worse place in which to live. and with people who are actually bad. where people are REALLY good and no-one murders, or steals, or tells lies, or rapes and everyone loves everyone, and you can TRUST everyone. Wouldn’t you prefer to be there?